Serving low-income families, Inspiritus enrichment programs teach and empower children and families, providing opportunities for enrichment and growth for individuals while strengthening communities. MyCanvas is a mobile youth art enrichment program serving low-income children in the middle Tennessee region. Art engages creativity, imagination, and self-expression, but it can also be a powerful tool for change and healing. MyCanvas was designed to help children in economically challenged communities learn to cope with daily stress and frustrations. The program works to nurture self-esteem and self-confidence of the participants through artistic creation and expression. MyCanvas encourages children and youth to explore and develop their talents, find their voice, and tell their stories with confidence. MyCanvas programs are conveniently offered in local neighborhoods and offered free of charge. An annual art show in October in the local community allows the family of friends of the youth to see their works displayed. Inspiritus’ Healthy Gardens equips low-income communities with the knowledge and tools they need to grow their own garden. Through Healthy Gardens, families and individuals have easy and free access to fruits and vegetables to supplement their meals as well as a healthy outlet for relieving stress and staying active. Gardeners often experience immense satisfaction and empowerment through growing their own food right outside their door. Inspiritus provides everything needed for a family or individual to start their own garden, including raised-bed garden kits, soil, seeds, plants, watering cans and more. Education is offered before the season begins and continues throughout the growing season. Many of the gardeners choose to plant crops in each of the Spring, Summer, and Fall growing season. 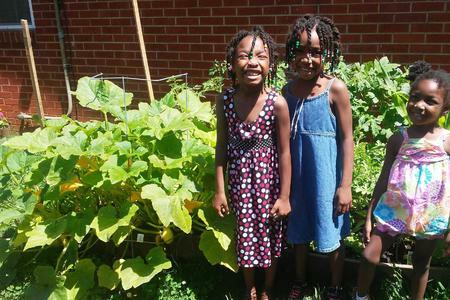 The Healthy Gardens program began in 2011 with 12 gardens in the Cheatham Place Community in North Nashville. Those 12 gardens grew to 158 gardens in three counties in Middle Tennessee in 2018.